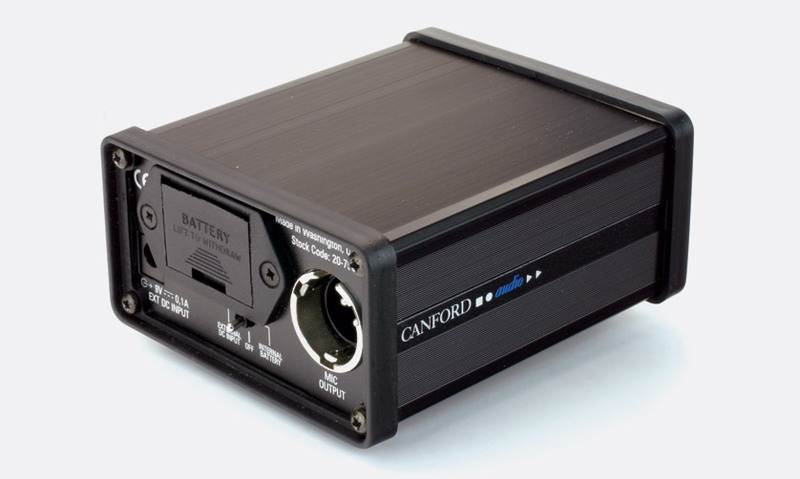 A battery driven power supply capable of powering all common professional microphone powering standards. 12 volt AB(T) power, 12, 24 and 48 volt phantom (fully meeting IEC268-15/BS6840 Part 15) are switchable options. The unit also offers 10, 20 and 30dB input attenuation and 3 LF filter options (cut-off frequencies of 40Hz, 100Hz, 400Hz) as standard. Powering is by one PP3 size battery (a low battery indicator is on the front panel) or by external 9V DC input. Battery life 5 hours at 48V 10mA. 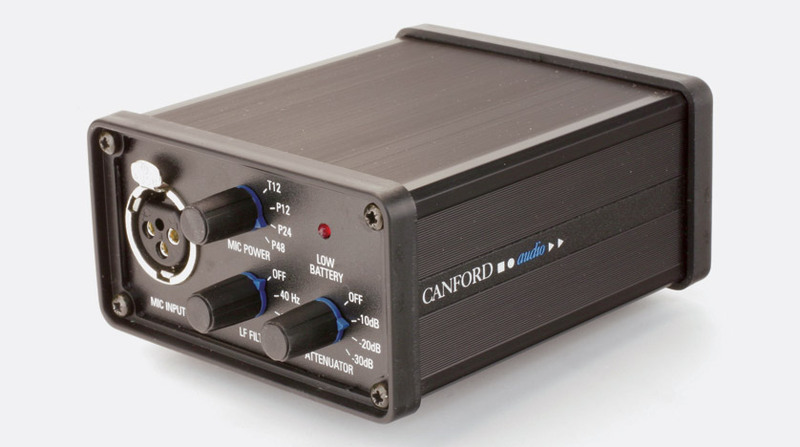 The unit is housed in the robust Canford extruded box, with protective end bezels and belt clip. Input is by a panel-mounted 3 pin female XLR, output by a panel-mounted 3 pin male XLR. Dimensions: 125(l) × 93(w) × 50(h)mm.